2016 yielded a bevy of gorgeously balanced dry Riesling. Johannes Haart took this opportunity to produce what are his probably finest dry Riesling to date. Here a bit of background. After a most challenging start in the growing season, the 2016 vintage has turned out to be a charmer with much early ripe appeal. But the 2016 vintage also delivered racier wines including a few stunner cut along the great canon of the 1997 vintage, one of the finest vintages ever, as our recent 1997 retrospective has amply shown. This includes dry Riesling which we extensively reviewed in the Mosel Fine Wines Issue No 38 (Oct 2017) and in particular a stunning 2016er Wintricher Ohligsberg Riesling Trocken GG by Reinhold Haart. 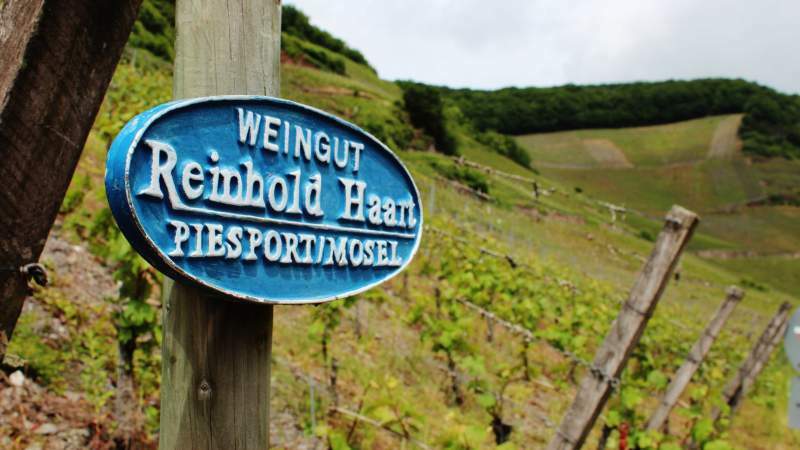 Weingut Reinhold Haart has been invariably associated with Piesport and this for good reasons: The Estate’s history here can be traced back to the 14th century! While well regarded at the turn to the 20th century, it is under the impulse of Theo Haart (now officially retired even if he is still quite active) that the Estate developed its impeccable modern reputation. Johannes Haart has taken over the cellar work from his father since 2011. While continuing the pure style of this father, he developed also some elegant lightness into his wines, in particular into his dry Riesling. This more that came through, among others, in a stunning 2014er Piesporter Trocken which we featured as wine of the month two years ago. However, Weingut Reinhold Haart is more than Piesporter wine aristocracy. 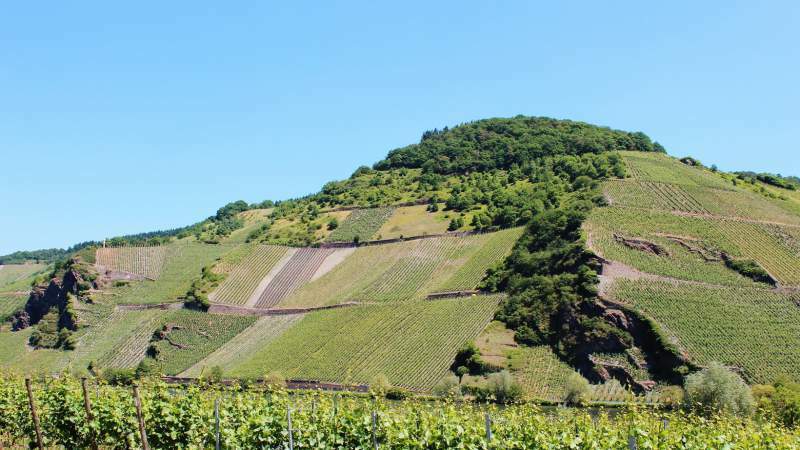 It is one of the main owners of vineyards in the today coveted Wintricher Ohligsberg. At the end of the 1980s, the Piesporter hill went through a Flurbereinigung. This is a land restructuring scheme in which growers exchange tiny parcels so that they end up with larger and more economically viable parcels. Such land reorganization often leads to a replanting and this was also the case in Piesport. Theo Haart was therefore on the hunt of a new vineyard which he could use to compensate for the temporary losses on the Piesporter hill. His eyes fell unto the completely forgotten yet one famous Ohligsberg in Wintrich. The rest, as they say, is history. 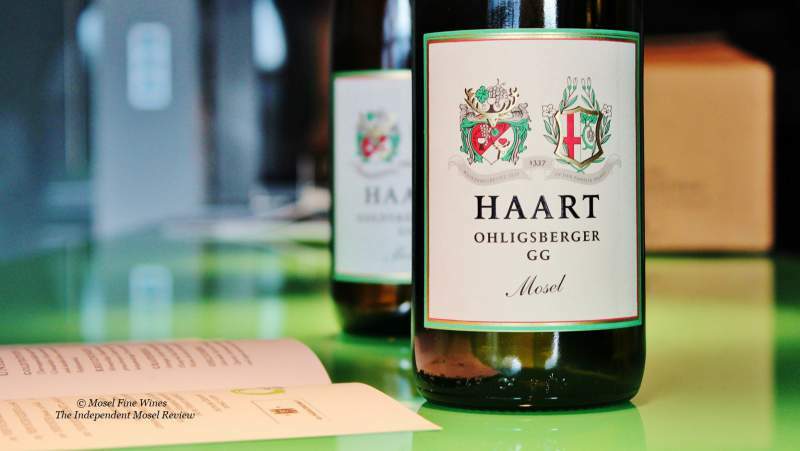 Theo and now Johannes Haart have regularly produced some of their finest wines from this site. The wines from the Ohligsberg are more fiery and offer more presence than the “crowd-pleasing” Riesling from the Piesporter hill. In addition, the Ohligsberg wines age beautifully well. Simply put, the 2016er Ohligsberg GG is a little jewel of a wine and one of the finest dry Riesling from the vintage anywhere in Germany. However also the other dry wines of Weingut Reinhold Haart underline the greatness if this vintage at this fine address. The 2016er Riesling collection by Reinhold Haart was reviewed in the Mosel Fine Wines Issues No 36 (Jul 2017) and No 38 (Oct 2017). You are a subscriber and miss some of these Issues? Simply send us a request by email and we will be happy to send you a copy. You are not yet a subscriber and wish to get some of these Issues? Subscribe free of charge by registering yourself here below and ask us for a copy by email.